Lock in a great price for 61Prado Guesthouse – rated 9.1 by recent guests! I had the junior suite room. It was very spacious with massive beds. Lots of hot water in the shower. The owner and staff were very friendly. I had the filet mignon and wine at supper and breakfast as well. The food was excellent, the steak cooked to perfection. The restaurant area and public seating areas are very quaint and comfortable. Not super close to restaurants but easy taxi ride to anywhere. Good value. The food was great. And the roof terrace is the best dining room in Medellin. Staff was very helpful. Excellent place all around! Bonus having a rooftop sitting area with great views of Medellin! Lovely elegant hotel . Spectacular view from rooftop terrace. Restaurant. Staff. What’s not to like! Every detail was exactly what I Mendez and wanted. I could rave about the property endlessly. The 24 hour restaurant was superb, I ate there almost 2x a day. Location excellent, a few min walk to the metro. Great ambiance, outstanding service and very quiet and secure. 5+ stars! This was an exceptional guesthouse. Everything was top of the line. We ate at the on site restaurant our entire week stay. Dinner and breakfast. 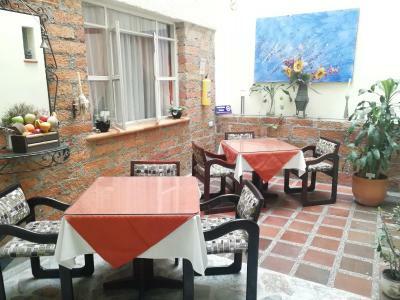 Location very convenient to Centro Medellin. The staff were extremely friendly and helpful. It was excellent value for money. It is conveniently located a few blocks from the metro, making it a stop or two away from the Botanic Gardens, and accessible for other areas. I booked in advance for one night, but actually stayed for six or seven. There is a 24 hour restaurant and bar. 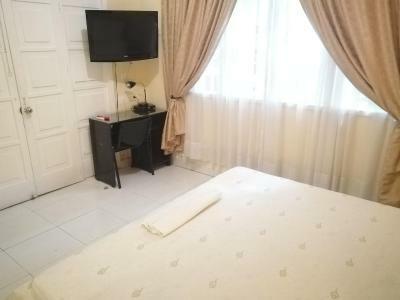 61Prado Guesthouse This rating is a reflection of how the property compares to the industry standard when it comes to price, facilities and services available. It's based on a self-evaluation by the property. Use this rating to help choose your stay! One of our best sellers in Medellín! 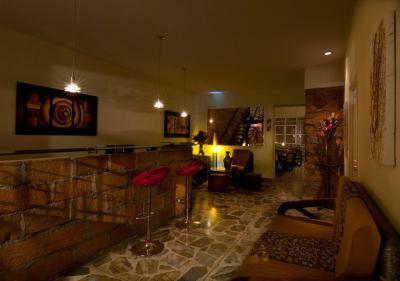 61 Prado is full service a European-style guest house in Medellin, in the historical private residential Prado district. Free WiFi is available throughout the establishment. 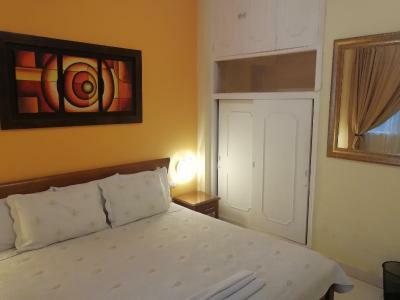 The bright rooms at the 61 Prado Guest house have marble floors and plenty of natural light. All are equipped with cable TV, a work desk, a safety box and private bathrooms. Guests can enjoy an a la carte breakfast, lunch and dinner menu in the on-site restaurant. The property offers a 24-hour front desk. 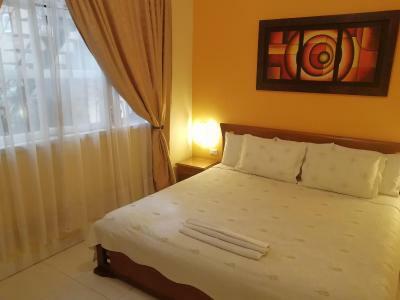 61Prado Guest house offers free motorbike parking and an outside parking garage is available under surcharge. 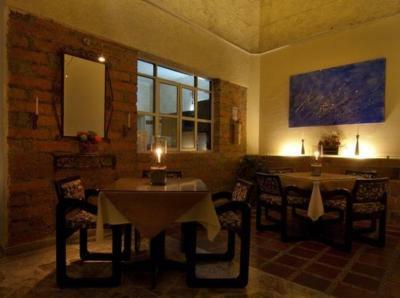 The hotel is conveniently located next to Medellin City Center, a 5-minute walk from Prado metro station. It is also close to major attractions, including Museo de Antioquia, Plaza Botero and Parque Norte. La Candelaria is a great choice for travelers interested in museums, convenient public transportation and parks. 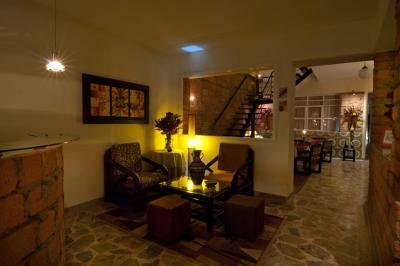 When would you like to stay at 61Prado Guesthouse? Features a single bed, private bathroom, TV, work desk and free Wi-Fi access. Features a king-size bed, private bathroom, TV, work desk and free Wi-Fi access. House Rules 61Prado Guesthouse takes special requests – add in the next step! One older child or adult is charged COP 20000 per person per night when using existing beds. 61Prado Guesthouse accepts these cards and reserves the right to temporarily hold an amount prior to arrival. Please note 61Prado Guest house offers airport shuttle service for a surcharge. Neighborhood a bit rougher than we anticipated. But then the entire city was rougher than we anticipated. Very nice building, quiet, exceptionally clean. Helpful staff. There were no windows in the room. The staff was very friendly and the food good. The bathroom in my room could have been cleaned a littler better. I loved the food, the service, the people. Very clean and tidy. Nice decor. Very friendly staff. Excellent location. Great value for money. The bed was very squeaky with the slightest movement. No air con , just fan in room. Wifi was sometimes iffy. Room walls could use a bit of a wash but not terrible. But none of these would prevent me from staying here again and t would be my choice again. Good value. Neighbourhood felt dodgy at night. We liked everything. Very helpful staff, Excellent 24 hour restuarant, huge bed, hot showers, rooftop terrace, close to metro. Really comfy place to stay and relax with an amazing 360° rooftop overlooking Medellin. The food at the in-house restaurant is outstanding, staff is very friendly and the metro stop is in 5mins walking distance. The location was a little shady at night (great for sight seeing during the day,we arrived at night by Uber from the bus station and the driver pointed out multiple times that the area is not really safe and even asked us if we really wanted to stay in that area). The hotel was great in itself but be aware that the area isn’t the most pleasant at night. We only had a window facing the hall. Very good breakfast for the 10000 COP we paid extra. Good service. Great view from the rooftop (especially at night). Comfortable beds. Warm shower. Very clean and nice place. For this price, surprisingly good! It is near downtown, but downtown is not the best place of Medellin. Anyway, the guesthouse is great and has a very nice view. The bathroom was the cleanest shared bathroom I've seen. The bedroom and bathroom were old fashioned but a very good size with useful furniture. Really helpful reception staff. Nice little dining room with plenty of people eating there. Very good dinner and breakfast at reasonable prices. We had the room downstairs, it was simply furnished - no problem with that, but it’s not very comfortable when you hear people passing by the door. The property was clean modern I loved staying here because everything was perfect, The staff are amazing and the restaurant here is open 24 hours a day and the prices are reasonable.